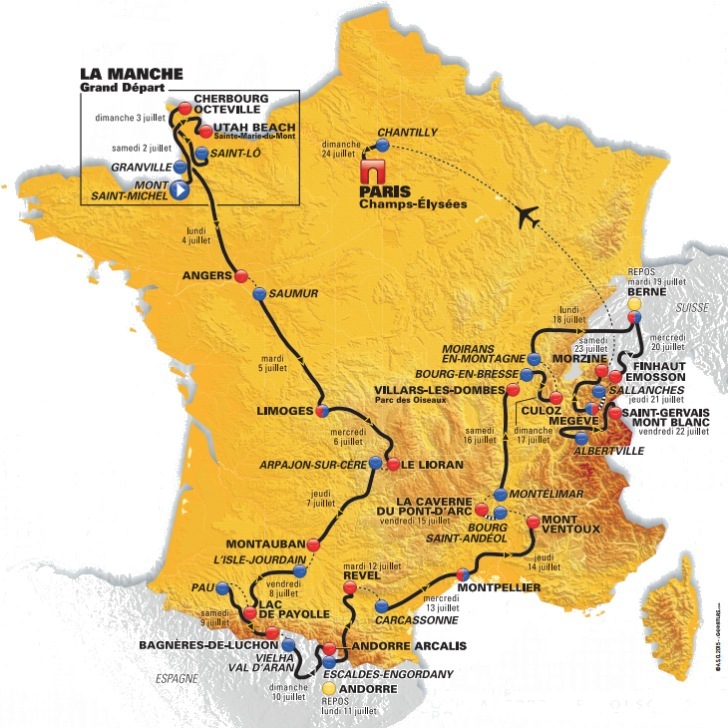 The “Tour de France 2016″ will be in our region. On thursday the 7th of the 7th the cyclists will departure at Arpajon-sur-Cère and arrive at Montauban. Book your room now for the special rate of € 77 for a double room on the 6th or/and 7th July (price per night per room). Also our “Table d’hôtes” is available for dinner for € 22,50 per person (drinks not included).